Posted by jkahane in history, personal, space sciences. 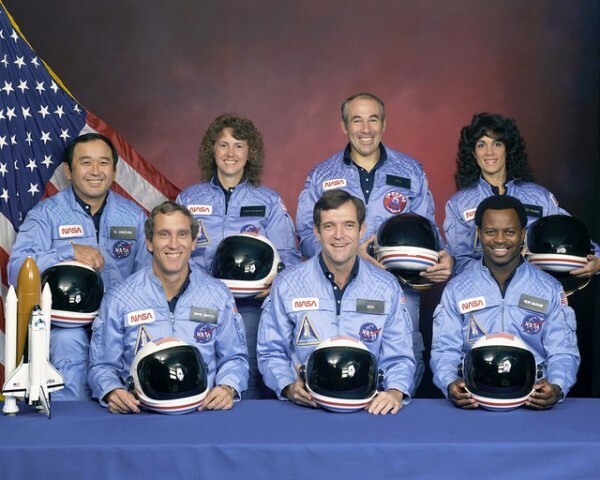 Today is the twenty-sixth anniversary of the space shuttle Challenger disaster. I was 30 years old at the time of the terrible disaster, and remember that I was horrified and terribly depressed and saddened by the explosion, and remember thinking that this was a terrible blow to man’s continued exploration in space. Indeed, it resulted in a 32-month hiatus of the American space program, but it was the Challenger disaster that redefined NASA in a major fashion. Despite this, the desire on the part of the folks who make up NASA’s astronaut corps and the folks who serve NASA in all capacities to explore space and continue on with this work is even stronger today than it was back then. Whether anything will come of the American (and others’) space program is to be seen, but I’m saddened that the exploration of space these days is dormant, at best. It’s now thirty-one years since the Challenger disaster, as I mentioned. Those of us who are still present and accounted for after that time have hopefully lived a lot, and learned a lot over the years. Fortunately, the exploration hasn’t stopped altogether either, for which I’m grateful, and want to thank those who have kept the dream alive. But we will never forget the Challenger disaster. It was a testament that we are all too mortal and frail, but also to the spirit of explorers, both past and present.